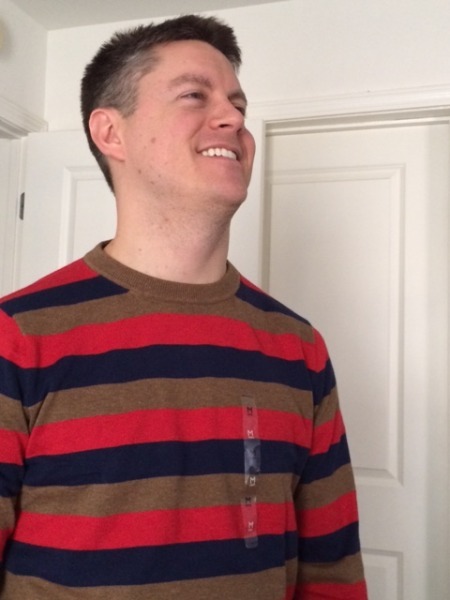 Does This Sweater Make Me Look Like Freddy Krueger? I don’t watch scary movies. I think I could count on one hand the number of horror movies I’ve seen in my life. I don’t buy clothes very often. Currently I own four sweaters, and I’ve owned each of them for somewhere between 6 and 11 years. I’ve been trying to keep my heating bill under control, hence my desire to have a few more sweaters. So the other day I bit the bullet and bought 5 sweaters online. Three are no good. One I really like. Another I also really like, but there might be a problem. 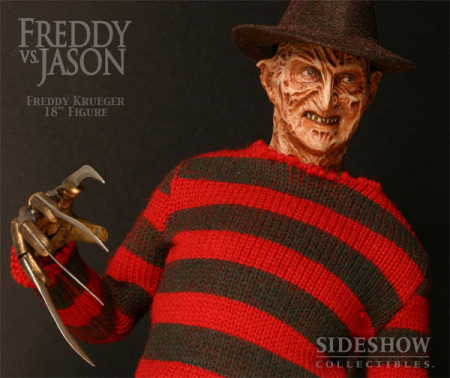 As a friend pointed out, it’s very similar to the sweater that Freddy Krueger wore in a series of movies I’ve never seen. So I need your help. Please compare the following two photos. If I look too much like Freddy Krueger in this sweater, I cannot keep it. You can tell me what you think on the poll at the bottom or in the comments. I tried to pose like Freddy. I’m the one in the second photo. This entry was posted on Thursday, November 20th, 2014 at 11:20 pm	and is filed under poll and tagged with personal. You can follow any responses to this entry through the RSS 2.0 feed. Folk will think of Freddy if they have Freddy on the brain. Someone with a phobia of Freddy, for example, might avoid you. But I don’t think you should worry about it too much. Uhh, you kinda more look like a fusion of Bert and Ernie.